Most parents can agree that one of the hardest obstacles of the day is getting through their bedtime routine with their children. The children are incredibly cranky, but also entirely resilient in staying awake. Parents, however, have had a long day of responsibilities and work and are in no mood to face a bedtime challenge. 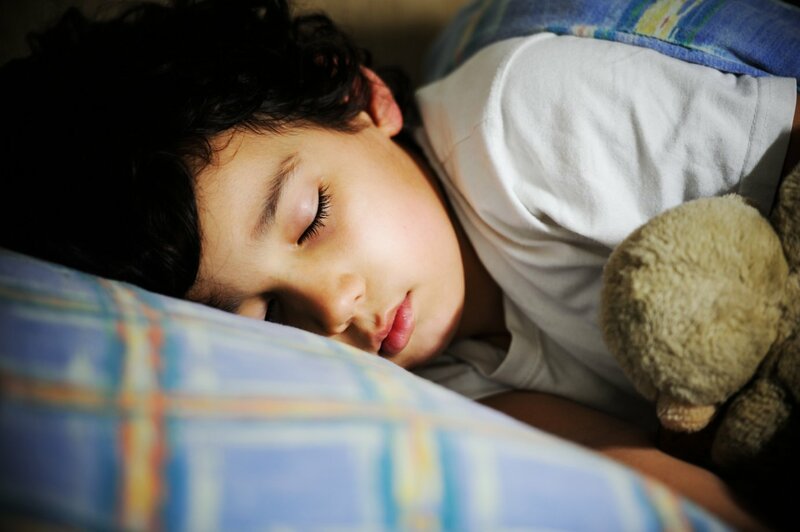 Sleep is crucial for your child's mental and physical development, as it is directly linked to growth and coordination. It is also an essential step in cognitive development, helps concentration during the day, and promotes awareness. Plus, it puts them in a better mood, so they are more open to the day ahead of them. While every family's bedtime process is different, here are a few great ways to help all parents get their children to sleep in an easier and more enjoyable way. The first step is making the bedroom and bed conducive to relaxation and sleep. Try keeping the room cool with cozy covers and having comfort items like security blankets or stuffed animals on hand. Make sure that distracting noises from outside the bedroom are limited with white noise machines, fans or a favorite sleepy time playlist. Another key step in coaxing a sleepy child to bed is to shut off electronics and start dimming the lights long before their head is going to hit the pillow. Research shows that being in a darker space that mimics natural light patterns prepares the brain for sleep. Artificial light from indoor lighting and electronics like phones, TVs and tablets can inhibit your child's brain from winding down. The earlier these distractions are eliminated, the easier it is for little brains to shut down. Add relaxing and bonding moments between you and your child to support feelings of security and relaxation. This can range from anything such as reading a book, coming up with your own story, or playing bedtime games. Books are both engaging and relaxing for a child to listen to while snuggled in bed. Also, try talking about what you learned that day and what you will do tomorrow. Reflecting on their day and discussing its highlights are productive ways to check in with each other and wrap up the night. The most important tactic for bedtime is establishing a nighttime routine and sticking with it. Routines ensure that children know exactly what to expect when that time rolls around. Creating a relaxing ritual that incorporates both necessities like brushing teeth and privileges like bedtime stories generates a soothing environment. Allow your child to help come up with the bedtime system so they are more susceptible to follow it. Holding this routine to a reasonable time frame and keeping it consistent helps prompt children into sleep. Sleep is important in helping your child grow and thrive, but is also what keeps parents sane! Getting children to sleep in a timely manner so mom or dad can have some adult time is crucial. Following some of these suggestions and keeping the routine simple and consistent can help make bedtime less of a struggle.